It’s rare that we get the opportunity to use underwater cameras to film catching trout in public waters. Normally, crowds don’t allow it. Other times, the fish get spooked instantly and won’t bite when we put a camera in the water. Or the water can be murky. Fortunately, a few days ago in Pennsylvania while fishing Laurel Creek we were able to capture brook trout grabbing eggs inches from the GoPro. We were in Central Pennsylvania to target brook trout on this small creek upstream of Whipple Dam. The creek is planted several times a year by the Pennsylvania Fish & Boat Commission and normally fishes well for a week or two after being stocked. 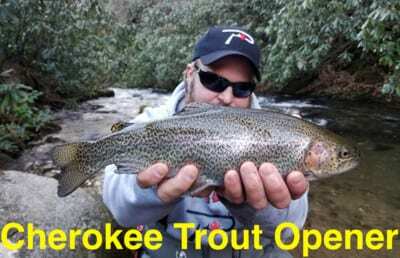 The creek is stocked over several miles, which disperses trout from swarms of anglers vying to catch them. A few miles upstream of Whipple Laurel Run is a tiny stream and only has little holes and small pocket water. However, as you migrate closer to the lake the holes grow. The PA Fish & Boat Commission deserves kudos for this stocking. While we did catch a random 10-inch fish most of them ranged from 12 to 16 inches. More impressive was their wild characteristics. These fish had full tails and vibrant colors. They didn’t look like stockers. The size of the plant ensures that fish are around for the next few weeks. Some of the stops received six buckets of brook trout. Others in the smaller holes upstream only got two buckets, which was warranted. 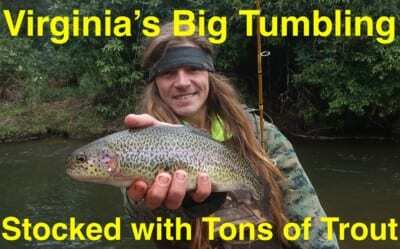 Most of the trout were stocked in large pools. And, we caught and released at least four-dozen trout in these large pools. 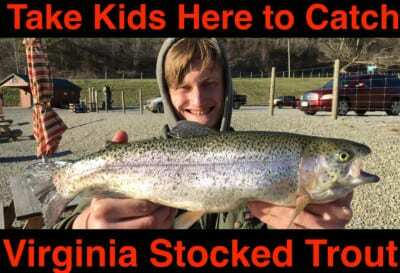 Meanwhile, we also caught a few dozen fish walking away from the road and plucking bait into pockets, under bridges and beneath undercut banks. There were trout scattered everywhere. Normally, the creek gets hit hard by anglers the first few days after a stock and then pressure decreases. For our first few casts Fire Bait was the hot ticket. We caught and released a half dozen trout quickly on Feed Pellet Brown and Garlic Salmon Egg Fire Bait. Rather than rolling it into a ball we molded the Fire Bait into a worm-like shape and slowly jigged it on a size 12 Eagle Claw single egg hook. The movement stimulates strikes. And, they came often. You’ll see a few of them from our underwater cameras when this episode of Pautzke Outdoors comes out. The brooks became conditioned to the Fire Bait. When they did we switched to Fire Balls and the action escalated. It’s important to use four-pound test and small split shots here. The water is gin clear and the fish can be spooky. We switched back and forth between Pink Shrimp, Gold Garlic, Orange Shrimp and Chartreuse Garlic Fire Balls and watched the brooks fight over who go to eat them first. The entire spectacle was caught on our GoPro’s underwater. All were also fished under a small float to keep them from resting on the bottom. Editor’s Note: Pautzke Fire Bait and Fire Balls are available at Walmart and Bass Pro. 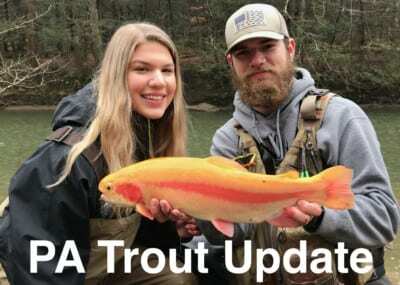 For more information on trout stocking in PA please visit: http://www.fishandboat.com/Fish/Stocking/Pages/default.aspx.